Quality is one of the important facets of our organization; therefore, we check quality at each stage of the production process. 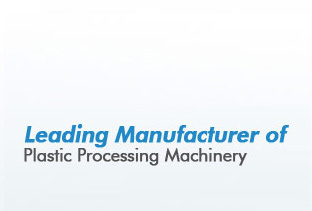 Being an quality certified organization; we offer our range of machinery as per international quality standards. We procure high-grade steel and precision machines for manufacturing extrusion machines such as screw, barrels, die to ensure flawless product. We have an extrusion plant which is equipped with varied types of PVC pipe extrusion line that is mainly used to manufacture qualitative PVC pipes, profiles and HDPE pipe. We are assisted by a team of highly experienced and dedicated members, who have earned expertise in respective fields. They undertake the entire task sincerely and try to accomplish it within stipulated time frame. We have procuring agents who source high grade steel from authorized vendors. The competency of our technicians and engineers has helped us in fabricating our plastic processing machinery as per defined industrial standard. Our quality auditors stringently check the entire range of machinery to maintain quality standard. We have researchers who conduct market survey in order to improve the quality of our machinery. 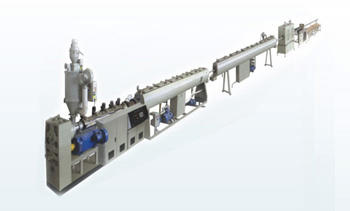 In addition to above mentioned plants and machinery, we also offer PET,PP,HD,ID sheet washing, dewatering, drying and pelletizing line, conical twin screw & single extrusion line for PVC. With an experience of 35 years in the field, our company has been able to attain 100% customer satisfaction by offering high speed mixer, bimetallic screws, cater puller, tipping chute, single screw extruder plant, pvc profile extruder plant, conical screw extruder, conical twin screw extruder etc. We not only manufacture machines but also provide prompt after sale service to ensure trouble free functioning of plants and machines. Our full-furnished after sale department is managed by experienced service engineers. They assist our clients with installation and commissioning, trouble shooting, maintenance of machines and plants, so that our clients can operate these machines easily. 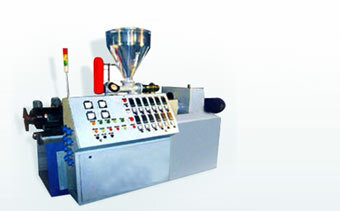 Our experienced technicians install and commission the plants and machines as per the requirement and layout. While trouble shooting, we maintain a log of root cause of problems, which we encounter. In case we encounter similar problems in the future than it is easier for us to drill down the problem quickly and eliminate it. We also provide complete maintenance support to ensure smooth functioning of machines and plants.